Gurcan, MN, Tomaszewski JE, Madabhushi A. 2017. Special Section Guest Editorial: Digital Pathology.. Journal of medical imaging (Bellingham, Wash.). 4(2):021101. Xu, J, Luo X, Wang G, Gilmore H, Madabhushi A. 2016. A Deep Convolutional Neural Network for Segmenting and Classifying Epithelial and Stromal Regions in Histopathological Images. Neurocomputing. 191:223. Lee, G, Veltri RW, Zhu G, Ali S, Epstein JI, Madabhushi A. 2016. Nuclear Shape and Architecture in Benign Fields Appear to Predict Biochemical Recurrence in Prostate Cancer Patients Following Radical Prostatectomy: Preliminary Findings. European Radiology. Janowczyk, A, Madabhushi A, Doyle S, Gilmore H. 2016. A resolution adaptive deep hierarchical (RADHicaL) learning scheme applied to nuclear segmentation of digital pathology images. Computer Methods in Biomechanics and Biomedical Engineering: Imaging & Visualization. Cruz-Roa, A, Arévalo J, Basavanhally A, Madabhushi A, González F. 2015. A comparative evaluation of supervised and unsupervised representation learning approaches for anaplastic medulloblastoma differentiation. SPIE Medical Imaging. 9287:92870G. Viswanath, S, Toth R, Rusu M, Sperling D, Lepor H, Futterer J, Madabhushi A. 2014. Identifying quantitative in vivo multi-parametric MRI features for treatment related changes after laser interstitial thermal therapy of prostate cancer. Neurocomputing. 144:13–23. Prasanna, P, Tiwari P, Madabhushi A. 2014. Co-occurrence of Local Anisotropic Gradient Orientations (CoLlAGe): Distinguishing Tumor Confounders and Molecular Subtypes on MRI. International Conference on Medical Image Computing and Computer-Assisted Intervention (MICCAI). 8675:73-80. Litjens, G, Huisman H, Elliott R, Shih N, Feldman M, Viswanath S, Fütterer J, Bomers J, Madabhushi A. 2014. Distinguishing benign confounding treatment changes from residual prostate cancer on MRI following laser ablation. SPIE Medical Imaging. 9036:90361D-90361D-12. Litjens, GJS, Elliott R, Shih N, Feldman M, Barentsz JO, Hulsbergen - van de Kaa CA, Kovacs I, Huisman HJ, Madabhushi A. 2014. Distinguishing prostate cancer from benign confounders via a cascaded classifier on multi-parametric MRI. SPIE Medical Imaging. 9035:903512-903512-14. Rusu, M, Kurhanewicz J, Tewari A, Madabhushi A. 2014. A prostate MRI atlas of biochemical failures following cancer treatment. SPIE Medical Imaging. 9035:903513-903513-10. Wang, H, Singanamalli A, Ginsburg S, Madabhushi A. 2014. Selecting Features with Group-Sparse Nonnegative Supervised Canonical Correlation Analysis (GNCCA): Multimodal Prostate Cancer Prognosis. International Conference on Medical Image Computing and Computer-Assisted Intervention (MICCAI). 8675:385-392. Orooji, M, Sparks R, Bloch NB, Feleppa E, Barratt D, Madabhushi A. 2014. Spatially aware expectation maximization (SpAEM): application to prostate TRUS segmentation. SPIE Medical Imaging. 9034:90343Y-90343Y-13. Hwuang, E, Rusu M, Karthigeyan S, Agner SC, Sparks R, Shih N, Tomaszewski JE, Rosen M, Feldman M, Madabhushi A. 2014. Spectral embedding-based registration (SERg) for multimodal fusion of prostate histology and MRI. SPIE Medical Imaging. 9034:90343P-90343P-15. Tiwari, P, Prasanna P, Rogers L, Wolansky L, Badve C, Sloan A, Cohen M, Madabhushi A. 2014. Texture descriptors to distinguish radiation necrosis from recurrent brain tumors on multi-parametric MRI. SPIE Medical Imaging. 9035:90352B-90352B-12. Cruz-Roa, A, Xu J, Madabhushi A. 2014. A note on the stability and discriminability of graph based features for classification problems in digital pathology.. SPIE Medical Imaging. Litjens, G, Huisman H, Elliot R, Shih N, Feldman M, Viswanath SE, Futterer J, Bomers J, Madabhushi A. 2014. Quantitative identification of magnetic resonance imaging features of prostate cancer response following laser ablation and radical prostatectomy.. Journal of Medical Imaging. 1(3):035001. Cruz-Roa, A, Basavanhally A, González F, Gilmore H, Feldman M, Ganesan S, Shih N, Tomaszewski J, Madabhushi A. 2014. Automatic detection of invasive ductal carcinoma in whole slide images with convolutional neural networks. SPIE Medical Imaging. 9041:904103-904103-15. Wang, H, Cruz-Roa A, Basavanhally A, Gilmore H, Shih N, Feldman M, Tomaszewski J, Gonzalez F, Madabhushi A. 2014. Cascaded ensemble of convolutional neural networks and handcrafted features for mitosis detection. SPIE Medical Imaging. 9041:90410B-90410B-10. Ginsburg, SB, Rusu M, Kurhanewicz J, Madabhushi A. 2014. Computer extracted texture features on T2w MRI to predict biochemical recurrence following radiation therapy for prostate cancer. SPIE Medical Imaging. 9035:903509-903509-13. Tiwari, P, Danish S, Madabhushi A. 2014. Identifying MRI markers to evaluate early treatment-related changes post-laser ablation for cancer pain management. SPIE Medical Imaging. 9036:90362L-90362L-11. Singanamalli, A, Wang H, Lee G, Shih N, Rosen M, Master S, Tomaszewski J, Feldman M, Madabhushi A. 2014. Supervised multi-view canonical correlation analysis: fused multimodal prediction of disease diagnosis and prognosis. SPIE Medical Imaging. 9038:903805-903805-13. Hwuang, E, Danish S, Rusu M, Sparks R, Toth R, Madabhushi A. 2013. Anisotropic smoothing regularization (AnSR) in Thirion's Demons registration evaluates brain MRI tissue changes post-laser ablation. IEEE International Conference of Engineering in Medicine and Biology Society (EMBS). :4006-4009. Ali, S, Veltri R, Epstein JI, Christudass C, Madabhushi A. 2013. 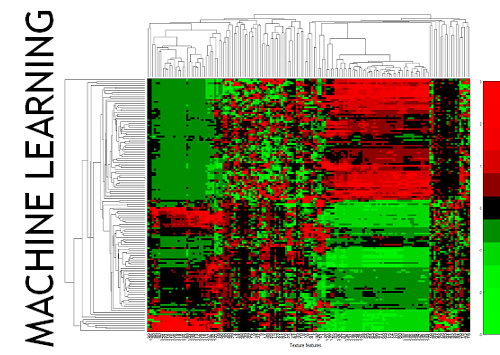 Cell cluster graph for prediction of biochemical recurrence in prostate cancer patients from tissue microarrays. SPIE Medical Imaging. 8676:86760H-86760H-11. Lee, G, Ali S, Veltri R, Epstein JI, Christudass C, Madabhushi A. 2013. Cell Orientation Entropy (COrE): Predicting Biochemical Recurrence from Prostate Cancer Tissue Microarrays. International Conference on Medical Image Computing and Computer-Assisted Intervention (MICCAI). 8151:396-403. Lee, G, Sparks R, Ali S, Madabhushi A, Feldman MD, Master SR, Shih N, Tomaszewski JE. 2013. Co-occurring gland tensors in localized cluster graphs: Quantitative histomorphometry for predicting biochemical recurrence for intermediate grade prostate cancer. IEEE International Symposium on Biomedical Imaging (ISBI). :113-116. Prasanna, P, Jain S, Bhagat N, Madabhushi A. 2013. Decision support system for detection of diabetic retinopathy using smartphones. International Conference on Pervasive Computing Technologies for Healthcare (PervasiveHealth). :176-179. Cruz-Roa, A, Arevalo Ovalle JE, Madabhushi A, González Osorio FA. 2013. A Deep Learning Architecture for Image Representation, Visual Interpretability and Automated Basal-Cell Carcinoma Cancer Detection. International Conference on Medical Image Computing and Computer-Assisted Intervention (MICCAI). 8150:403-410. Wang, H, Viswanath SE, Madabhushi A. 2013. Discriminatively weighted multi-scale Local Binary Patterns: Applications in prostate cancer diagnosis on T2W MRI. IEEE International Symposium on Biomedical Imaging (ISBI). :398-401. Basavanhally, A, Madabhushi A. 2013. EM-based segmentation-driven color standardization of digitized histopathology. SPIE Medical Imaging. 8676:86760G-86760G-12. Sparks, R, Bloch NB, Feleppa E, Barratt D, Madabhushi A. 2013. Fully automated prostate magnetic resonance imaging and transrectal ultrasound fusion via a probabilistic registration metric. SPIE Medical Imaging. 8671:86710A-86710A-14. Singanamalli, A, Sparks R, Rusu M, Shih N, Ziober A, Tomaszewski JE, Rosen M, Feldman MD, Madabhushi A. 2013. Identifying in vivo DCE MRI parameters correlated with ex vivo quantitative microvessel architecture: A radiohistomorphometric approach. SPIE Medical Imaging. 8676:867604-867604-14. Ginsburg, SB, Bloch NB, Rofsky NM, Genega EM, Lenkinski RE, Madabhushi A. 2013. Iterative multiple reference tissue method for estimating pharmacokinetic parameters on prostate DCE MRI. SPIE Medical Imaging. 8670:86701J-86701J-13. Wan, T, Bloch NB, Danish S, Madabhushi A. 2013. Learning based fiducial driven registration (LEFIR): Evaluating laser ablation changes for neurological applications. IEEE International Symposium on Biomedical Imaging (ISBI). :1428-1431. Wang, H, Rusu M, Golden T, Gow A, Madabhushi A. 2013. Mouse lung volume reconstruction from efficient groupwise registration of individual histological slices with natural gradient. SPIE Medical Imaging. 8669:866914-866914-11. Rusu, M, Wang H, Golden T, Gow A, Madabhushi A. 2013. Multiscale multimodal fusion of histological and MRI volumes for characterization of lung inflammation. SPIE Medical Imaging. 8672:86720X-86720X-9. Wan, T, Bloch NB, Danish S, Madabhushi A. 2013. A novel point-based nonrigid image registration scheme based on learning optimal landmark configurations. SPIE Medical Imaging. 8669:866934-866934-12. Tiwari, P, Danish S, Wong S, Madabhushi A. 2013. Quantitative evaluation of multi-parametric MR imaging marker changes post-laser interstitial ablation therapy (LITT) for epilepsy. SPIE Medical Imaging. 8671:86711Y-86711Y-13. Viswanath, SE, Toth R, Rusu M, Sperling D, Lepor H, Futterer J, Madabhushi A. 2013. Quantitative evaluation of treatment related changes on multi-parametric MRI after laser interstitial thermal therapy of prostate cancer. SPIE Medical Imaging. 8671:86711F-86711F-11. Ali, S, Lewis JS, Madabhushi A. 2013. Spatially Aware Cell Cluster(SpACCl) Graphs: Predicting Outcome in Oropharyngeal p16+ Tumors. International Conference on Medical Image Computing and Computer-Assisted Intervention (MICCAI). 8149:412-419. Rusu, M, Bloch NB, Jaffe CC, Rofsky NM, Genega EM, Feleppa E, Lenkinski RE, Madabhushi A. 2013. 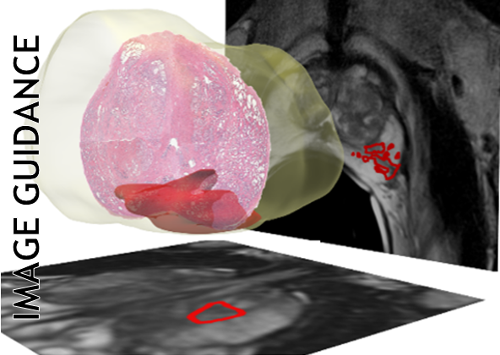 Statistical 3D prostate imaging atlas construction via anatomically constrained registration. SPIE Medical Imaging. 8669:866913-866913-9. Babu Prabu, S, Toth R, Madabhushi A. 2013. A statistical deformation model (SDM) based regularizer for non-rigid image registration: application to registration of multimodal prostate MRI and histology. SPIE Medical Imaging. 8676:86760C-86760C-13. Ginsburg, SB, Ali S, Lee G, Basavanhally A, Madabhushi A. 2013. Variable Importance in Nonlinear Kernels (VINK): Classification of Digitized Histopathology. International Conference on Medical Image Computing and Computer-Assisted Intervention (MICCAI). 8150:238-245. Viswanath, SE, Bloch NB, Chappelow J, Toth R, Rofsky NM, Genega EM, Lenkinski RE, Madabhushi A. 2012. Central gland and peripheral zone prostate tumors have significantly different quantitative imaging signatures on 3 tesla endorectal, in vivo T2-weighted MR imagery. Journal of Magnetic Resonance Imaging. 36(1):213-24. Viswanath, SE, Madabhushi A. 2012. Consensus embedding: theory, algorithms and application to segmentation and classification of biomedical data. BMC Bioinformatics. 13:26. Toth, R, Madabhushi A. 2012. Deformable Landmark-Free Active Appearance Models: Application to Segmentation of Multi-institutional Prostate MRI Data. The Medical Image Computing and Computer Assisted Intervention Society (MICCAI) Grand Challenge: Prostate MR Image Segmentation (PROMISE). Sparks, R, Madabhushi A. 2012. Gleason grading of prostate histology utilizing manifold regularization via statistical shape model of manifolds. SPIE Medical Imaging. 8315:83151J. Monaco, JP, Raess P, Chawla R, Bagg A, Weiss M, Choi J, Madabhushi A. 2012. Image segmentation with implicit color standardization using cascaded EM: Detection of myelodysplastic syndromes. IEEE International Symposium on Biomedical Imaging (ISBI). :740-743. Toth, R, Chappelow J, Vetter C, Kutter O, Russ C, Feldman MD, Tomaszewski JE, Shih N, Madabhushi A. 2012. Incorporating the whole-mount prostate histology reconstruction program Histostitcher into the extensible imaging platform (XIP) framework. SPIE Medical Imaging. 8315:83151K. Toth, R, Madabhushi A. 2012. Multi-Feature Landmark-Free Active Appearance Models: Application to Prostate MRI Segmentation. IEEE Transactions on Medical Imaging. 31(8):1638-1650. Tiwari, P, Viswanath SE, Kurhanewicz J, Sridhar A, Madabhushi A. 2012. Multimodal wavelet embedding representation for data combination (MaWERiC): integrating magnetic resonance imaging and spectroscopy for prostate cancer detection. NMR in Biomedicine. 25(4):607-19. Yu, E, Monaco JP, Tomaszewski JE, Shih N, Feldman MD, Madabhushi A. 2011. Detection of prostate cancer on histopathology using color fractals and Probabilistic Pairwise Markov models. IEEE International Conference of Engineering in Medicine and Biology Society (EMBS). :3427-3430. Golugula, A, Lee G, Madabhushi A. 2011. Evaluating feature selection strategies for high dimensional, small sample size datasets. IEEE International Conference of Engineering in Medicine and Biology Society (EMBS). :949-952. Galaro, J, Judkins AR, Ellison D, Baccon J, Madabhushi A. 2011. An integrated texton and bag of words classifier for identifying anaplastic medulloblastomas. IEEE International Conference of Engineering in Medicine and Biology Society (EMBS). :3443-3446. Palumbo, D, Yee B, O'Dea P, Leedy S, Viswanath SE, Madabhushi A. 2011. Interplay between bias field correction, intensity standardization, and noise filtering for T2-weighted MRI. IEEE International Conference of Engineering in Medicine and Biology Society (EMBS). :5080-5083. Patel, P, Chappelow J, Tomaszewski JE, Feldman MD, Rosen M, Shih N, Madabhushi A. 2011. Spatially weighted mutual information (SWMI) for registration of digitally reconstructed ex vivo whole mount histology and in vivo prostate MRI. IEEE International Conference of Engineering in Medicine and Biology Society (EMBS). :6269-6272. Golugula, A, Lee G, Master SR, Feldman MD, Tomaszewski JE, Madabhushi A. 2011. Supervised regularized canonical correlation analysis: Integrating histologic and proteomic data for predicting biochemical failures. IEEE International Conference of Engineering in Medicine and Biology Society (EMBS). :6434-6437. Sridhar, A, Doyle S, Madabhushi A. 2011. Boosted Spectral Embedding (BoSE): Applications To Content-Based Image Retrieval Of Histopathology. IEEE International Symposium on Biomedical Imaging (ISBI). :1897-1900. Viswanath, SE, Tiwari P, Chappelow J, Toth R, Kurhanewicz J, Madabhushi A. 2011. CADOnc©: An Integrated Toolkit For Evaluating Radiation Therapy Related Changes In The Prostate Using Multiparametric MRI. IEEE International Symposium on Biomedical Imaging (ISBI). :2095-2098. Tchikindas, L, Sparks R, Baccon J, Ellison D, Judkins AR, Madabhushi A. 2011. Segmentation of nodular medulloblastoma using Random Walker and Hierarchical Normalized Cuts. IEEE North-East Bioengineering Conference (NEBEC). :1-2. Lai, Y, Viswanath SE, Baccon J, Ellison D, Judkins AR, Madabhushi A. 2011. A texture-based classifier to discriminate anaplastic from non-anaplastic medulloblastoma. IEEE North-East Bioengineering Conference (NEBEC). :1-2. Ali, S, Veltri R, Epstein JI, Christudass C, Madabhushi A. 2011. Adaptive Energy Selective Active Contour with Shape Priors for Nuclear Segmentation and Gleason Grading of Prostate Cancer. International Conference on Medical Image Computing and Computer-Assisted Intervention (MICCAI) . 6891:661–669. Xiao, G, Madabhushi A. 2011. Aggregated Distance Metric Learning (ADM) for Image Classification in Presence of Limited Training Data. International Conference on Medical Image Computing and Computer-Assisted Intervention (MICCAI) . 6893:33–40. Cheng, J, Hipp J, Monaco JP, Lucas D, Madabhushi A, Balis U. 2011. Automated vector selection of SIVQ and parallel computing integration MATLAB TM : Innovations supporting large-scale and high-throughput image analysis studies. Journal of Pathology Informatics. 2:37. Hipp, J, Flotte T, Monaco JP, Cheng J, Madabhushi A, Yagi Y, Rodriguez-Canales J, Emmert-Buck M, Dugan M, Hewitt S et al.. 2011. Computer aided diagnostic tools aim to empower rather than replace pathologists: Lessons learned from computational chess. Journal of Pathology Informatics. 2:25. Sparks, R, Madabhushi A. 2011. Content-based image retrieval utilizing explicit shape descriptors: applications to breast MRI and prostate histopathology. SPIE Medical Imaging. 7962:79621I. Chappelow, J, Bloch NB, Rofsky NM, Genega EM, Lenkinski RE, DeWolf, W, Madabhushi A. 2011. Elastic registration of multimodal prostate MRI and histology via multiattribute combined mutual information. Medical Physics. 38:2005-2018. Viswanath, SE, Palumbo D, Chappelow J, Patel P, Bloch NB, Rofsky NM, Lenkinski RE, Genega EM, Madabhushi A. 2011. Empirical evaluation of bias field correction algorithms for computer-aided detection of prostate cancer on T2w MRI. SPIE Medical Imaging. 7963:79630V. Viswanath, SE, Bloch NB, Chappelow J, Patel P, Rofsky NM, Lenkinski RE, Genega EM, Madabhushi A. 2011. Enhanced multi-protocol analysis via intelligent supervised embedding (EMPrAvISE): detecting prostate cancer on multi-parametric MRI. SPIE Medical Imaging. 7963:79630U. Xu, J, Janowczyk A, Chandran S, Madabhushi A. 2011. A high-throughput active contour scheme for segmentation of histopathological imagery. Medical Image Analysis. 15(6):851-862. Hipp, J, Cheng J, Pantanowitz L, Hewitt S, Yagi Y, Monaco JP, Madabhushi A, Rodriguez-Canales J, Hanson J, Roy-Chowdhuri S et al.. 2011. Image microarrays (IMA): Digital pathology's missing tool. Journal of Pathology Informatics. 2:47. Basavanhally, A, Yu E, Xu J, Ganesan S, Feldman MD, Tomaszewski JE, Madabhushi A. 2011. Incorporating domain knowledge for tubule detection in breast histopathology using O'Callaghan neighborhoods. SPIE Medical Imaging. 7963:796310. Toth, R, Bulman J, Patel A, Bloch NB, Genega EM, Rofsky NM, Lenkinski RE, Madabhushi A. 2011. Integrating an adaptive region-based appearance model with a landmark-free statistical shape model: application to prostate MRI segmentation. SPIE Medical Imaging. 7962:79622V. Janowczyk, A, Chandran S, Feldman MD, Madabhushi A. 2011. Local morphologic scale: application to segmenting tumor infiltrating lymphocytes in ovarian cancer TMAs. SPIE Medical Imaging. 7962:79622N. Hipp, J, Sica J, McKenna B, Monaco JP, Madabhushi A, Cheng J, Balis U. 2011. The need for the pathology community to sponsor a whole slide imaging repository with technical guidance from the pathology informatics community. Journal of Pathology Informatics. 2:31. Ali, S, Madabhushi A. 2011. Segmenting multiple overlapping objects via a hybrid active contour model incorporating shape priors: applications to digital pathology. SPIE Medical Imaging. 7962:79622W. Ginsburg, SB, Tiwari P, Kurhanewicz J, Madabhushi A. 2011. Variable Ranking with PCA: Finding Multiparametric MR Imaging Markers for Prostate Cancer Diagnosis and Grading. Workshop on Prostate Cancer Imaging: Computer-Aided Diagnosis, Prognosis, and Intervention (in conjunction with MICCAI) . 6963:146-157. Tiwari, P, Viswanath SE, Kurhanewicz J, Madabhushi A. 2011. Weighted Combination of Multi-Parametric MR Imaging Markers for Evaluating Radiation Therapy Related Changes in the Prostate. Workshop on Prostate Cancer Imaging: Computer-Aided Diagnosis, Prognosis, and Intervention (in conjunction with MICCAI). 6963:80-91. Madabhushi, A, Basavanhally A, Doyle S, Agner SC, Lee G. 2010. Computer-aided prognosis: Predicting patient and disease outcome via multi-modal image analysis. IEEE International Symposium on Biomedical Imaging (ISBI). :1415-1418. Doyle, S, Monaco JP, Madabhushi A, Lindholm S, Ljung P, Ladic L, Tomaszewski JE, Feldman MD. 2010. Evaluation of effects of JPEG2000 compression on a computer-aided detection system for prostate cancer on digitized histopathology. IEEE International Symposium on Biomedical Imaging (ISBI). :1313-1316. Chappelow, J, Madabhushi A. 2010. Multi-attribute combined mutual information (MACMI): An image registration framework for leveraging multiple data channels. IEEE International Symposium on Biomedical Imaging (ISBI). :376-379. Chappelow, J, Both S, Viswanath SE, Hahn S, Feldman MD, Rosen M, Tomaszewski JE, Vapiwala N, Patel P, Madabhushi A. 2010. Computer-assisted targeted therapy (CATT) for prostate radiotherapy planning by fusion of CT and MRI. SPIE Medical Imaging. 7625:76252C. Doyle, S, Madabhushi A. 2010. Consensus of Ambiguity: Theory and Application of Active Learning for Biomedical Image Analysis. Pattern Recognition in Bioinformatics. 6282:313-324. Xu, J, Sparks R, Janowczyk A, Tomaszewski JE, Feldman MD, Madabhushi A. 2010. High-Throughput Prostate Cancer Gland Detection, Segmentation, and Classification from Digitized Needle Core Biopsies. Workshop on Prostate Cancer Imaging: Computer-Aided Diagnosis, Prognosis, and Intervention (in conjunction with MICCAI). 6367:77-88. Sparks, R, Toth R, Chappelow J, Xiao G, Madabhushi A. 2010. An integrated framework for analyzing three-dimensional shape differences: Evaluating Prostate Morphometry. IEEE International Symposium on Biomedical Imaging (ISBI). :1081-1084. Xu, J, Monaco JP, Madabhushi A. 2010. Markov Random Field driven Region-Based Active Contour Model (MaRACel): Application to Medical Image Segmentation. International Conference on Medical Image Computing and Computer-Assisted Intervention (MICCAI). 6363:197-204. Sparks, R, Madabhushi A. 2010. Novel Morphometric based Classification via Diffeomorphic based Shape Representation using Manifold Learning. International Conference on Medical Image Computing and Computer-Assisted Intervention (MICCAI). 6363:658-665. Basavanhally, A, Doyle S, Madabhushi A. 2010. Predicting Classifier Performance With a Small Training Set: Applications to Computer-Aided Diagnosis and Prognosis. IEEE International Symposium on Biomedical Imaging (ISBI). :229-232. Tiwari, P, Kurhanewicz J, Rosen M, Madabhushi A. 2010. Semi Supervised Multi Kernel (SeSMiK) Graph Embedding: Identifying Aggressive Prostate Cancer via Magnetic Resonance Imaging and Spectroscopy. International Conference on Medical Image Computing and Computer-Assisted Intervention (MICCAI). 6363:666-673. Lee, G, Madabhushi A. 2010. Semi-Supervised Graph Embedding Scheme with Active Learning (SSGEAL): Classifying High Dimensional Biomedical Data. Pattern Recognition in Bioinformatics. 6282:207-218. Xu, J, Janowczyk A, Chandran S, Madabhushi A. 2010. A weighted mean shift, normalized cuts initialized color gradient based geodesic active contour model: applications to histopathology image segmentation. SPIE Medical Imaging. 7623:76230Y. Jog, A, Joshi A, Chandran S, Madabhushi A. 2009. Classifying Ayurvedic Pulse Diagnosis via Concensus Locally Linear Embedding. International Conference on Bio-inspired Systems and Signal Processing (Biosignals). :388-95. Basavanhally, A, Xu J, Ganesan S, Madabhushi A. 2009. Computer-aided Prognosis (CAP) of ER+ Breast Cancer Histopathology and Correlating Survival Outcome with Oncotype Dx Assay. IEEE International Symposium on Biomedical Imaging. :851-854. Madabhushi, A. 2009. Digital Pathology Image Analysis: Oppurtunities and Challenges. Imaging in Medicine. 1(1):7-10. Fatakdawala, H, Basavanhally A, Xu J, Bhanot G, Ganesan S, Feldman MD, Tomaszewski JE, Madabhushi A. 2009. Expectation Maximization Driven Geodesic Active Contour: Application to Lymphocyte Segmentation on Digitized Breast Cancer Histopathology. IEEE International Conference on Bioinformatics and Bioengineering (BIBE). :69-76. Tomaszewski, JE, Feldman MD, Madabhushi A. 2009. Fused Diagnostics. Critical Values. 2(3):18-22. Lee, G, Monaco JP, Doyle S, Master SR, Feldman MD, Tomaszewski JE, Madabhushi A. 2009. A knowledge representation framework for integration, classification of multi-scale imaging and non-imaging data: Preliminary results in predicting prostate cancer recurrence by fusing mass spectrometry and histology. IEEE International Symposium on Biomedical Imaging (ISBI). :77-80. Tiwari, P, Viswanath SE, Rosen M, Reed G, Kurhanewicz J, Madabhushi A. 2009. Multi-modal Integration of Magnetic Resonance Imaging and Spectroscopy for Detection of Prostate Cancer. International Workshop on Biosignal Interpretation (BSI). Doyle, S, Madabhushi A, Feldman MD, Tomaszewski JE, Monaco JP. 2009. A Novel Active Learning Methodology that accounts for Minority Class Problems: Applications to Histopathology. Workshop on Optical Tissue Image analysis in Microscopy, Histopathology and Endoscopy (OPTIMHisE) (in conjunction with MICCAI). Agner, SC, Xu J, Fatakdawala H, Ganesan S, Madabhushi A, Englander S, Rosen M, Thomas K, Schnall M, Feldman MD et al.. 2009. Segmentation and classification of triple negative breast cancers using DCE-MRI. IEEE International Symposium on Biomedical Imaging (ISBI). :1227-1230. Monaco, JP, Viswanath SE, Madabhushi A. 2009. Weighted Iterated Conditional Modes for Random Fields: Application to Prostate Cancer Detection. Workshop on Probabalistic Models for Medical Image Analysis (PMMIA) (in conjunction with MICCAI). :209-219. Naik, S, Doyle S, Agner SC, Madabhushi A, Tomaszewski JE, Feldman MD. 2008. Automated gland and nuclei segmentation for grading of prostate and breast cancer histopathology. Special Workshop on Computational Histopathology (in conjunction with ISBI). :284-287. Doyle, S, Agner SC, Madabhushi A, Feldman MD, Tomaszewski JE. 2008. Automated grading of breast cancer histopathology using spectral clustering with textural and architectural image features. IEEE International Symposium on Biomedical Imaging (ISBI). :496-499. Monaco, JP, Tomaszewski JE, Feldman MD, Moradi, M, Mousavi P, Boag A, Davidson, C, Abolmaesumi P, Madabhushi A. 2008. Detection of Prostate Cancer from Whole-Mount Histology Images Using Markov Random Fields. Workshop on Microscopic Image Analysis with Applications in Biology (in conjunction with MICCAI) . Madabhushi, A, Udupa JK. 2008. Generalized Scale. Basavanhally, A, Agner SC, Alexe G, Ganesan S, Bhanot G, Madabhushi A. 2008. Manifold learning with graph-based features for identifying extent of lymphocytic infiltration from high grade breast cancer histology. Workshop on Microscopic Image Analysis with Applications in Biology (in conjunction with MICCAI). Madabhushi, A, Chappelow J, Viswanath SE, Toth R, Tiwari P. 2008. Multi-protocol Prostate MR Image Analysis: Image Segmentation, Registration, and Computer-aided Diagnosis. Workshop on Prostate Image Analysis (in conjunction with MICCAI). Naik, S, Doyle S, Madabhushi A, Tomaszewski JE, Feldman MD. 2007. Automated Gland Segmentation and Gleason Grading of Prostate Histology by Integrating Low-, High-level and Domain Specific Information. Workshop on Microscopic Image Analysis with Applications in Biology. Doyle, S, Hwang, M, Shah, K, Madabhushi A, Tomaszewski JE, Feldman MD. 2007. Automated Grading of Prostate Cancer using Architectural and Textural Image Features. IEEE International Symposium on Biomedical Imaging (ISBI). :1284-87. Chappelow, J, Madabhushi A, Rosen M, Tomaszewski JE, Feldman MD. 2007. A Combined Feature Ensemble based Mutual Information Scheme for robust Inter-Modal, Inter-Protocol Image Registration. IEEE International Symposium on Biomedical Imaging (ISBI). :644-47. Chappelow, J, Madabhushi A, Rosen M, Tomaszewski JE, Feldman MD. 2007. Multimodal Image Registration of ex vivo 4 Tesla Prostate MRI with Whole Mount Histology for Cancer Detection. SPIE Medical Imaging. 6512(1):S1-S12. Naik, S, Tomaszewski JE, Feldman MD, Madabhushi A. 2007. A Quantitative Exploration of Efficacy of Gland Morphology in Prostate Cancer Grading. IEEE North-East Bioengineering Conference (NEBEC). :58-59. Doyle, S, Hwang, M, Naik S, Feldman MD, Tomaszewski JE, Madabhushi A. 2007. 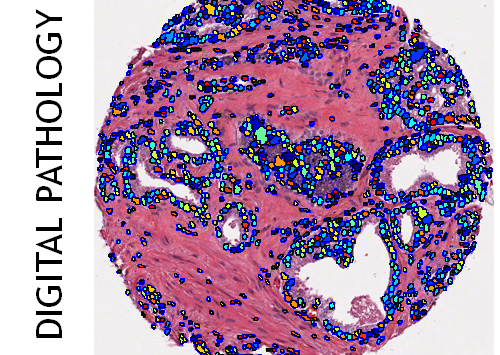 Using manifold learning for content-based image retrieval of prostate histopathology. Workshop on Content-Based Image Retrieval for Biomedical Image Archives (in conjunction with MICCAI). :53-62. Wu, Y, Wang, C., Ng, S.C., Madabhushi A, Zhong YX. 2006. Breast Cancer Diagnosis Using Neural-based Linear Fusion Strategies. International Conference on Neural Information Processing (ICONIP). 4234:165-175. Madabhushi, A, Shi J, Rosen M, Tomaszewski JE, Feldman MD. 2006. Comparing Classification Performance of Feature Ensembles: Detecting Prostate Cancer from High Resolution MRI. Computer Vision Methods in Medical Image Analysis (In conjunction with ECCV). 4241:25-36. Madabhushi, A, Udupa JK, Moonis G. 2006. Comparing MR Image Intensity Standardization Against Tissue Characterizability of Magnetization Transfer Ratio Imaging. Journal of Magnetic Resonance Imaging. 24:667-675. Madabhushi, A, Rosen M, Tomaszewski JE, Feldman MD. 2006. 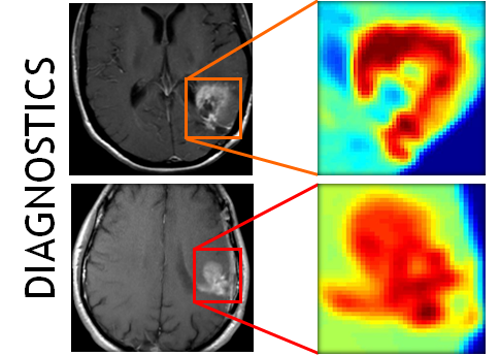 Eliminating mislabeled training instances: Detecting Prostate Cancer from High Resolution MRI. Workshop on Medical Image Processing in Oncology (In conjunction with MICCAI). :24-31. Madabhushi, A, Udupa JK, Souza A. 2006. Generalized Scale: Theory, Algorithms and Application to Inhomogeneity Correction. Computer Vision and Image Understanding. 101:100-121. Madabhushi, A, Udupa JK, Souza A. 2005. Generalized ball scale: theory, algorithms, and application in inhomogeneity correction. SPIE Medical Imaging. 5747:1509-20. Souza, A, Udupa JK, Madabhushi A. 2005. Generalized scale-based image filtering. SPIE Medical Imaging. 5747:732-42. Madabhushi, A, Shi J, Rosen M, Tomaszewski JE, Feldman MD. 2005. Graph Embedding to Improve Supervised Classification: Detecting Prostate Cancer. International Conference on Medical Image Computing and Computer Assisted Intervention (MICCAI). 3749:729-738. Madabhushi, A, Udupa JK. 2005. Interplay of Inhomogeneity Correction and Intensity Standardization in MR Image Analysis. IEEE Transactions on Medical Imaging. 24(5):561-576. Madabhushi, A, Udupa JK. 2005. New Methods of MR Image Intensity Standardization: Use of Generalized Scale. SPIE Medical Imaging. 5747:1143-54. Madabhushi, A, Metaxas D. 2005. Ultrasound Techniques in Digital Mammography & Their Application in Breast Cancer Diagnosis. Medical Imaging Systems Technology: Analysis and Computational Methods. :119-150. Madabhushi, A, Udupa JK, Souza A. 2004. Generalized Scale: Theory, Algorithms and Application to Inhomogeneity Correction. SPIE Medical Imaging. 5370:765-776. Madabhushi, A, Feldman MD, Metaxas D, Chute D, Tomaszewski JE. 2003. A Novel Stochastic Combination of 3D Texture Features for Automated Segmentation of Prostatic Adenocarcinoma from High-Resolution MR. International Conference on Medical Image Computing and Computer Assisted Intervention (MICCAI). 2878:581-91. Madabhushi, A, Feldman MD, Metaxas D, Chute D, Tomaszewski JE. 2003. Optimally Combining 3D Texture Features for Automated Segmentation of Prostatic Adenocarcinoma from High Resolution MR Images. IEEE International Conference of Engineering in Medicine and Biology Society (EMBS). :614-17. Madabhushi, A, Metaxas D. 2002. Automatic Boundary Extraction of Tumors in Ultrasonic Breast Images. IEEE International Symposium on Biomedical Imaging (ISBI). :601-604. Wei, G-Q, Madabhushi A, Qian, J, Engdahl, J. 2002. Automatic Quantification of Liver-heart Cross Talk for Quality Assessment in SPECT Myocardial Perfusion Imaging. SPIE Medical Imaging. 4684:965-72. Madabhushi, A, Udupa JK. 2002. Evaluating the effect of Intensity Standardization and Inhomogeneity Correction on Magnetic Resonance Images. IEEE North-East Bioengineering Conference (NEBEC). :137-138. Madabhushi, A, Aggarwal JK. 2000. Using the Movement of the Head to Recognize Human Activity. International Conference on Pattern Recognition (ICPR). 4:698-701. Madabhushi, A, Aggarwal JK. 1999. A Bayesian Approach to Human Activity Recognition. IEEE Workshop on Visual Surveillance Systems. :25-32.